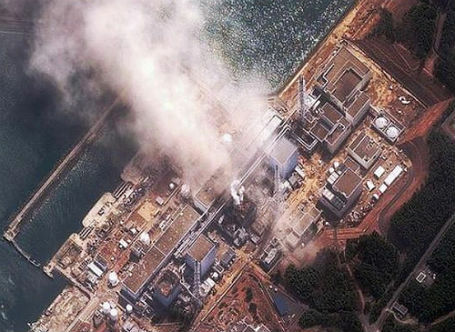 Japan’s Nuclear Disaster – Can We Ignore It Away? Maybe it’s a good thing we decided to bomb Libya so that the country’s attention could be diverted. Apparently Charlie Sheen’s meltdown wasn’t a big enough draw. At least three of the six nuclear reactors in Fukushima, Japan are in some stage of meltdown and the U.S. is seriously considering evacuating the Yokosuka Navy base that happens to be further south from those reactors than Tokyo is. But fortunately for Tokyo’s 13 million residents… The prevailing winds blow eastwards… Towards north and south America. Of course that’s small consolation when one considers that Tokyo’s groundwater and food supplies could be at risk. If any one of those units goes into full meltdown… The plume will be enormous! Exponentially so if the others go. This situation has the potential to dwarf Chernobyl in human and economic impact. Japan’s population of 135 million is crammed into a space slightly smaller than the state of California and faces at least two reactors melting down mere yards from the sea… While Chernobyl was a single reactor meltdown that never reached groundwater and it’s plume affected an area several times larger. Chernobyl also is not 135 miles from a city of 13 million. Granted that Kiev is less than 100 miles away and has a population of 2 million… But they at least had room to run. Where does one shift more than 13 million people to on an island that’s already packed with people? The Japanese people are literally between the devil and the deep blue sea. World governments are paralyzed due to fear of creating widespread panic and the need for preparing their populations for a potentially nasty environmental and economic situation. The American food supply is dependent on fruit and vegetables from Chile and Central American countries as well as Mexico… All of which would be directly affected by airborne contamination Add in California, Oregon and Washington State’s crops being contaminated and food inflation will be a small concern compared to outright food shortages. And while most pigs and chickens are raised indoors… Cows aren’t. Milk and beef shortages? Kiss that burger and shake goodbye. The foregoing paragraphs only begin to touch on the great toll humanity will have to pay if one or more of those reactors go worst case. Let’s now consider the economic effect of taking the world’s number two economy out of the equation. Most stock markets will crash overnight. The average person will begin to feel the impact of the loss of Japanese manufacturing within a month. Cars, electronics, medicines and seafood production will drop off dramatically. And not only Japanese car brands will be in short supply. A lot of components used in American and European cars come from Japan. Worldwide shipping will need to reroute around the contaminated area. And then there is the impact on the airline industry due to Japans major airports being out of the picture. The loss of Tokyo, Osaka and Nagoya airports alone will disrupt Pacific Rim and Asia traffic for months. And then there’s the refugee problem. The U.S. military is preparing to evacuate 87,000 military and dependents. Where will the Japanese people go? Millions of them will have to be moved. Who will take them? Never before in human history has the possibility of migrating a substantial portion of a First World country’s population been seriously considered. Perhaps hoping the issue is just a bad dream and that it’ll go away if we ignore it long enough is just as well as sitting and worrying what to do if it really does happen. It’s like hitting the snooze button… It’s going to keep going off every 10 minutes until you ultimately have to get up and face whatever the day brings. But in the meantime… That extra ten minutes can often times be the best sleep of the night. « Overstating The Obvious – Milk Contains Milk And Water Contains Water – Heaven Help Us! 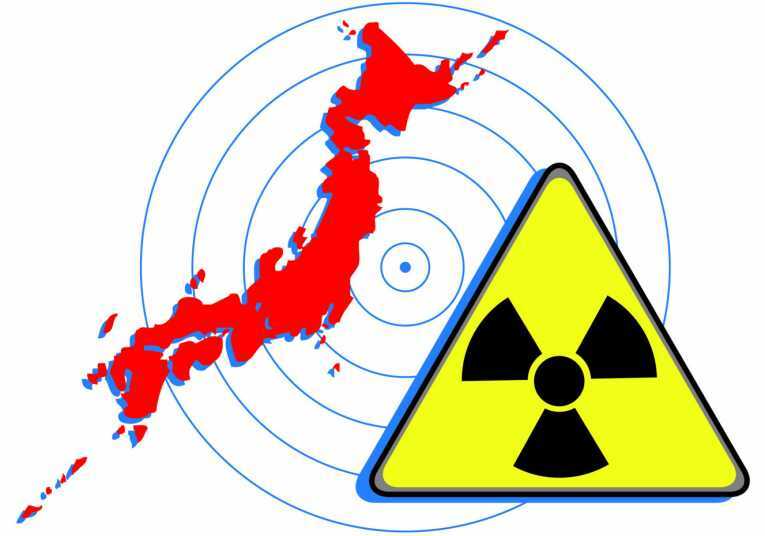 Pingback: Los Cuatro Ojos » Is Japan’s Nuclear Disaster Being Downplayed?